Yep, even us, System Administrators have our day of the year. 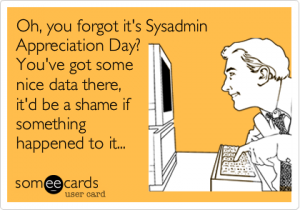 It is called the “System Administrator Appreciation Day“ and it is the day everybody should show some appreciation for the work done by System Administrators not just at your work but all over the world. The “System Administrator Appreciation Day“ is an annual event which was started by Ted Kekatos. The first “System Administrator Appreciation Day“ was held on July 28th, 2000 so this year it is the 16th in a row. The “System Administrator Appreciation Day“ is held each year the last Friday in July. This is the day you should thank your System Administrators for all the work they have done for you directly or indirectly throughout the year. 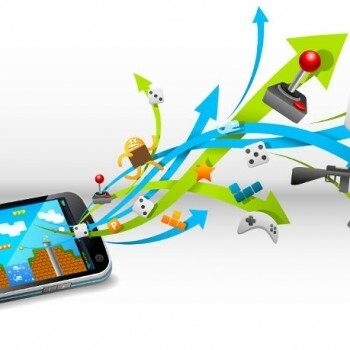 Nowadays we can not imagine life without computers, the internet, smartphones and so on. It is as if we can not make a move that does not include technology which consequently leads to a chain of System Administrators making sure it all happens when you want it and the way you want it! 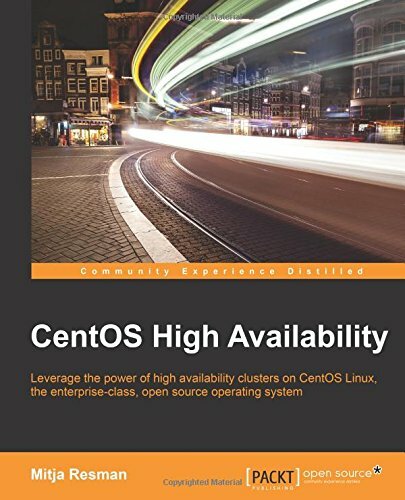 There are hundreds of millions of computers all over the world that require regular maintenance and administration to make it all work together and all this is done by System Administrators. … and give him some CAKE or other SWEETS!